A special place providing quality education in a caring environment…where children are nurtured, make friends and grow at their own pace. For nearly two decades, the Eagle’s Wings Preschool has focused on providing a program that lays the foundation for our students’ future learning and the emotional and social well-being of our children. We lay the crucial foundation for socialization and problem-solving. Our program encourages cooperative interaction and supports each child’s path towards gaining independence. We share parents’ desire to provide the best possible start for their child and are committed to providing an educational experience that meets these high expectations. Our developmentally appropriate program is based on the standards of the National Association for the Education of Young children (NAEYC). Brown Bag Lunch gives your child some additional time at school by offering the opportunity to share a meal with friends, learn important social skills and participate in planned enrichment activities. You will send your child to school with a nutritious nut-free bag lunch . Extend Day (includes Brown Bag Lunch) Children engage in stories, songs, free play, games, art activities, music, gross motor and playground time. You will send your child to school with a nutritious nut-free bag lunch . Both our boys attended Eagle’s Wings Preschool from the 3/4’s through Transitional Kindergarten. We’ve been so pleased with all aspects of the program. The teachers and director genuinely care about all the children and provide a warm and nurturing environment. The class sizes are small which affords the teachers the opportunity to pay special attention to each child. They have laid a great foundation for our children to begin elementary school. It is my family’s privilege to give Eagle Wings Preschool our highest recommendation. We have been thoroughly amazed at the high level of educational experience our young daughter has obtained this year. Often preschool settings are glorified daycare, but the teachers and staff at Eagle Wings are genuine educators whose passion for the children is more than evident. Our daughter’s first educational experience has left her loving school and she asks if she can go to school every morning when she wakes up. I come from a family of educators and was an educator myself for more than a decade and I couldn’t be more impressed with my daughter’s experience this year and how on top of every detail her teachers were in providing an awesome experience for every child. Our experience at Eagle’s Wings Preschool has been outstanding! Our oldest went through the 3-year-old and the 4-year-old class and absolutely loved it. Every day brought new learning experiences, new skills and new friends. I am amazed at the amount of information she has retained. All thanks to the wonderful staff and teachers who truly love each child and care about their early education years! We are excited for our next child to start in the 3-year-old class this fall and to have the same wonderful experience. I can’t say enough good things about Eagles Wings Preschool. We looked at a lot of schools before settling on Eagles Wings. The schooling my daughter has received the past two years has been second to none. Not only has her education been truly outstanding, the care she has received while at school has been lovely to watch. She knows her teachers love her and she cares deeply for them as well. We have found a great family at Eagles Wings, it is a truly special place to be. Before being referred to Eagle’s Wings, our family tried a few other preschools. Eagle’s Wings has been an incredible blessing to our whole family! Both of my boys have blossomed and learned far more than I imagined they could at their young ages. The teachers are loving, kind and truly enjoy their jobs, and it shows. Also, family involvement is very important to us and I loved being able to volunteer and be a part of our boys’ preschool experience. We love Eagle’s Wings! Eagle’s Wings Preschool Director, Shelli Reitcheck, has more than 20 years administrative and teaching experience in the field of Early Education. Shelli graduated from Gonzaga University with a Bachelor’s Degree in Special Education and holds an Idaho Education Credential (K-8) and Standard Instruction Certificate for Exceptional Child Generalist (K-12). 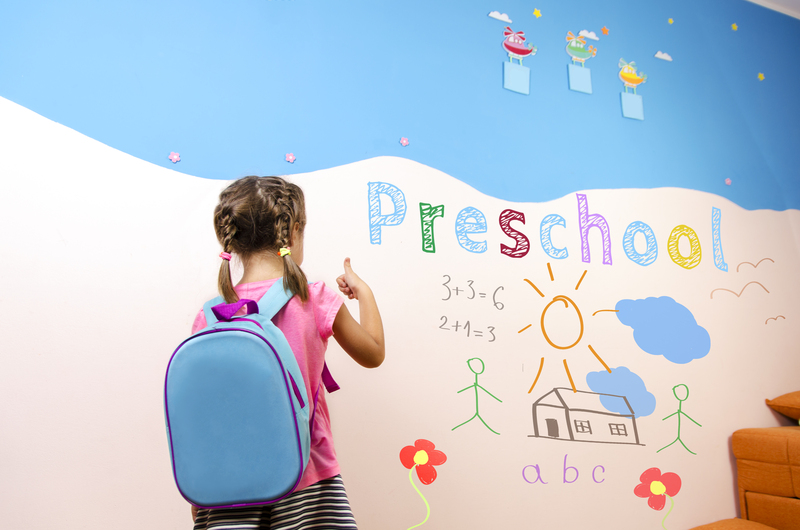 She continues to further her education with classes that focus on promoting preschool learning and development, instructional methodologies and supervision of teachers. Shelli feels blessed to be joining Eagle’s Wings Preschool and looks forward to the 2018-2019 school year. Miss Christy has an Associate’s Degree in Early Childhood Education from College of the Canyons. She facilitated parent participation co-op preschool programs for several years and has extensive experience in the early childhood classroom. Miss Meg is a 1991 graduate of Washington State University and holds a Bachelor’s degree in elementary education. She has spent 25 years between traditional classroom elementary education, instruction with elementary aged gifted and talented students, as well as early childhood education in the preschool environment. Focusing on the youngest minds, Miss Meg has worked at Eagle’s Wings Preschool since 2010. Because she believes continuing to develop her own knowledge and skills will benefit her students and model the importance of prioritizing education, Miss Meg has successfully completed accredited courses, as well as performing volunteer work at the Learning Lab in Garden City. She looks forward to working with your child during the upcoming school year. Miss Brittany has a Bachelor’s Degree in Human Development and a Certificate in Early Childhood Education. She has extensive experience as a preschool teacher, elementary education substitute teacher, and as a business owner/instructor in Lego Robotics, Science, and Art classes. Originally from Seattle, Brittany is happy to be back in the northwest. Miss Cheryl has a Bachelor of Fine Arts Degree, an Associate’s Degree in Early Childhood Education and a K-8 Idaho Teaching Credential. In her many years of teaching students of different ages, she has gathered experiences and inspiration for her illustrations in children’s books. It is the “sparkle” within each preschooler that inspires her the most. This will be her eighth year of teaching preschool, and her second year at Eagle’s Wings. Proudly serving children and families since 2001!